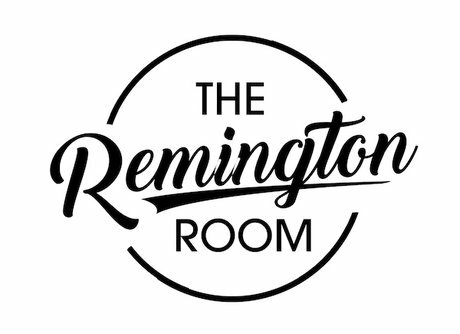 The Remington Room is a unique space that offers memorable events at an affordable price. The venue features a kitchenette, a room for food service and an open warehouse area for celebrating. An additional 1275 sq. ft. room (The Beauregard Room) has been added and expands your event options. The space is fully air conditioned, has WiFi, two bathrooms and ample parking for evening and weekend events. All rentals include tables (with table cloths) and chairs. 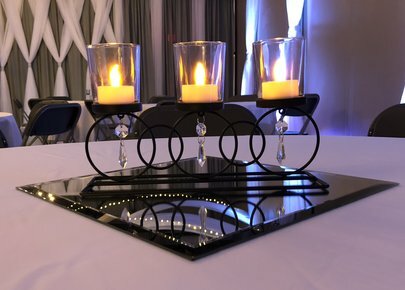 Our draping, string lighting and uplighting remain for every event, making decorating simple! We also have a wedding arch, bar, PA System, AV, DJ Lights, photo back drop and centerpieces which we rent onsite. We do not offer catering or bar services on site. We do not restrict which vendors you use for your event. We are happy to share our suggested vendors list with you upon booking. We focus on private party rentals. We do not rent for open invitation/promoted events or events that charge an admission fee. (Exceptions may be made for charity events.) We are currently NOT accepting any new contracts for Sweet 16 or Teen Parties. All parties must conclude by midnight and vendors must be out of the building by 1am.